Any business, family, or individual can sponsor a show at the school of their choice — anywhere in Oregon or southern Washington! What a great way to give some outstanding exposure for your business in your own community! OR…IF YOU HAVE A CHILD OR GRANDCHILD ATTENDING A SCHOOL IN OREGON or SOUTHERN WASHINGTON…YOU CAN SPONSOR A SHOW AT THEIR SCHOOL! 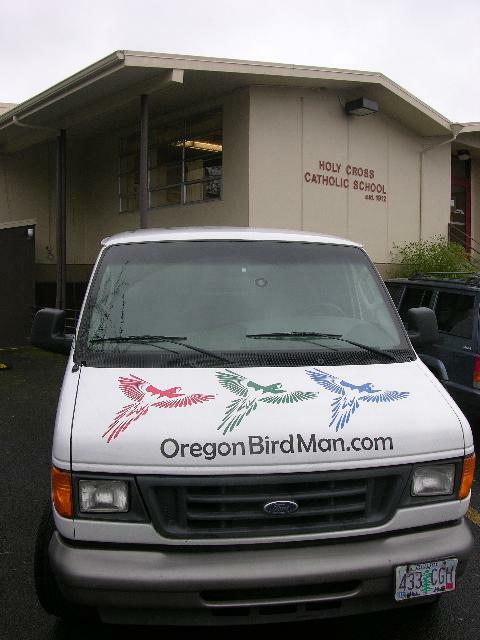 And the Oregon Bird Man will announce during the show — WHO it was — whether your business, family, individual, or even your child’s or grandchild’s name — that brought the show to their school!